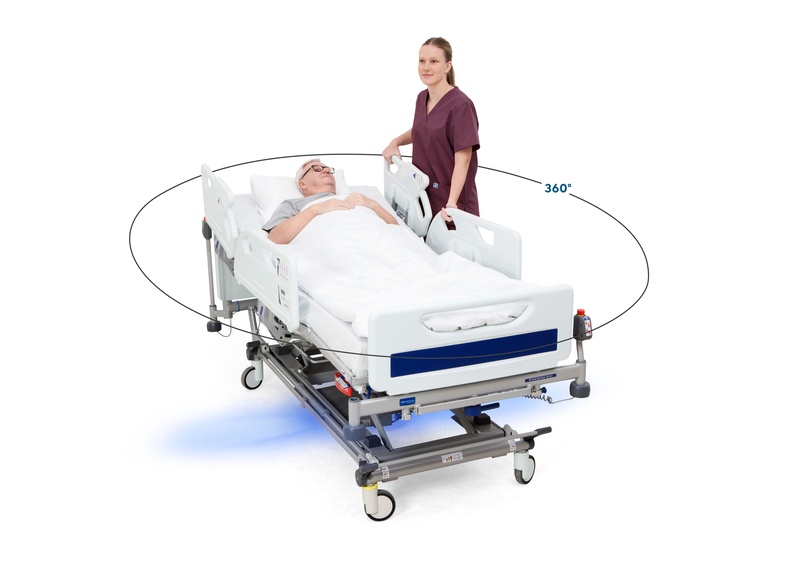 Arjo, a world leader in medical technology solutions, has unveiled the IndiGo intuitive drive assist, designed to reduce ergonomic risk, support user safety and improve the ease and efficiency of transporting patients on medical beds within care facilities. Uniquely, IndiGo does not change the user interface of the medical bed. Comprising a powered fifth wheel installed beneath the bed, IndiGo is unlike other power drive systems which are typically separate, bulky pieces of equipment, or come with complex activation points. Once installed, IndiGo is always available and ready for use, helping to save time and effort to store, locate or transfer external equipment. This innovation is the result of Arjo’s people-focused culture, which the company upholds through every aspect of its business, including product development. “We put ourselves in the customers’ shoes and tried to imagine what their ‘dream product’ would be like. We realised that to truly make a difference in terms of convenience, efficiency, safety and ease of use, we would have to come up with a completely new product concept. It is this train of thought that led us to the breakthrough idea of an integrated power assist that responds directly to user input, which became the basis for the IndiGo concept,” said Peter Lambord, senior product specialist, medical beds, Arjo. “Our understanding of the challenges our customers face drives our mission to always create products with people in mind. The IndiGo launch is one important step towards Arjo becoming a preferred supplier that brings a strong and comprehensive portfolio of solutions to the market, thus enhancing value for our customers,” said Joacim Lindoff, CEO, Arjo. Read our full press release here or visit our product page to learn more.